Come explore the World of Darkness, and play as one of the Kindred in Vampire: the Masquerade. You get to play as a vampire, in the ground breaking tabletop roleplaying game created by White Wolf Entertainment. Explore the dark and sinister society of these vampires in a world that is ours, just darker. Play along with others, inhabiting your role as a vampire during the end times, and survive against all manner of shadowy threats. Strive against ancient enemies and tyrant elder vampires. Unearth sinister conspiracies, and revel in your immortal nature. Hosted by Darker Days Radio, in conjunction with Fan Boy 3 and White Wolf Entertainment, this demo event is a chance for new players and old fans to take part and try out the recently released 5th edition of Vampire: the Masquerade. 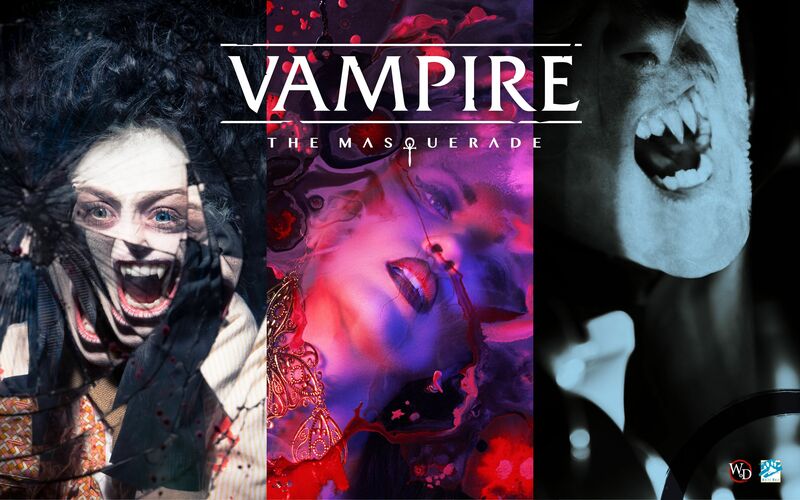 Vampire: the Masquerade is a game of personal horror, allowing players to explore many themes and ideas, and so this event is strictly for players aged 18+. If you enjoy games like Dungeons and Dragons, Warhammer, Pathfinder, and Call of Cthulhu, novels such as Interview with the Vampire, the Sonja Blue series, and Nightwatch, and TV shows and movies such as Blade, Being Human, The Hunger, and Near Dark, then Vampire: the Masquerade would be just the game you are looking for.